Patients see orthopaedic surgeons for a variety of reasons – knee pain, shoulder bursitis, sports injuries, arthritis, carpal tunnel syndrome, neck and back pain, and much more. 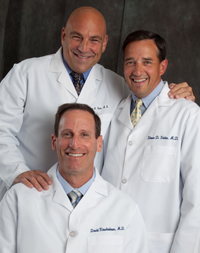 The physicians at Affiliated Orthopaedic Specialists are expertly trained in orthopaedic surgery and are dedicated to personalized patient care. Dear Dr. Sieler, I so much appreciated your time and patience in giving me a clear explanation and diagnosis of my injury. We have answers! Take a look at our Frequently Asked Questions and see if your questions have been answered. If you have additional questions or concerns, please feel free to contact us using our contact form or call one of our two convenient locations.